A client friendly creative suite with modern furnishings and copious natural light. 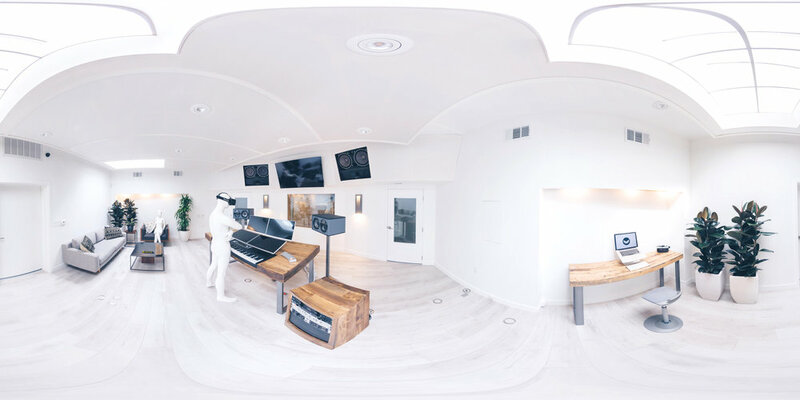 A 420 sq ft. live room, doubling as our room-scale XR development space. Studio B: A 140 sq. ft. post mix suite. Studio C: A cozy music production bay. We get comfort and vibe are crucial. 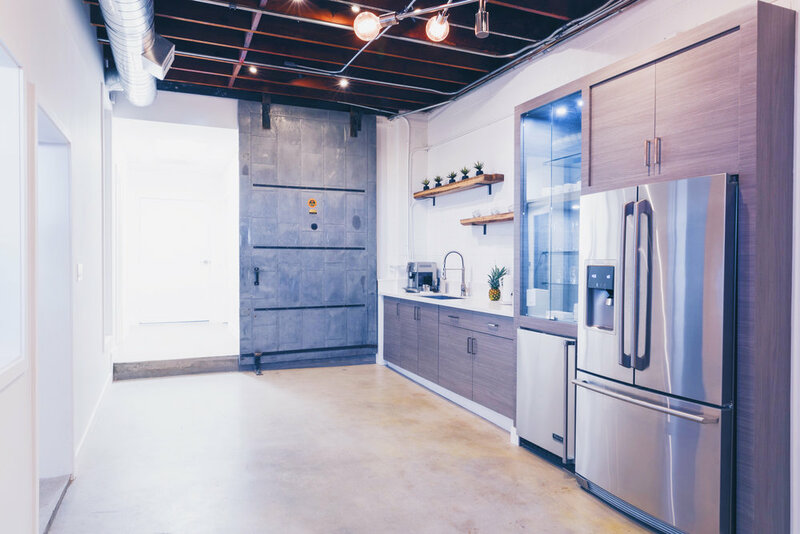 We want this to feel like home, so we made sure to build: A spacious, social kitchen area with craft beers on tap and a top shelf cocktail bar, a friendly, communal conference room for collaboration, and a 250 sq ft. patio for sunshine (or moonlight) breaks. We think hanging out is the quickest way to a good idea. So come hang out with us! And we love to throw parties.